When it comes to substance abuse, there is always an overwhelming urge to take either drugs or alcohol, and staying away from them induces critical withdrawal symptoms such as depression, anxiety, sweating, vomiting and the likes. Substance abuse has no cure, and just basically telling a person to stop cannot work. However, there are some proven ways to treat substance abuse, and these form of treatments usually take into consideration some factors such as the degree of addiction, and the presence of mental health issues. Detoxification: This is basically flushing out drugs and alcohol out of the body. This is usually done with the help of an experienced health personnel, because the withdrawal symptoms which comes with this process is quite deadly. Residential treatment: This could be a long-term treatment which could last between six months to a year. During this period, they are given an intensive and organized treatment. It could also be a short-term treatment which could take between three to six weeks at a treatment centre. Psychotherapy: During this form of treatment, patients learn various ways to control substance abuse issues. There are many types of psychotherapy, with the commonest being cognitive-behavioural therapy. Motivational Enhancement Therapy (MET): For this form of treatment, people are motivated on how to quit addiction and chase treatment. Research has shown that it is a potent treatment for drug and alcohol abuse. The Matrix model: For this model, the addicts have a therapist who also serves as a counsellor and a coach. There is also group therapy present in this model, which aids people in sharing their experiences and offering support for recovery. Family therapy: This form of therapy focuses on interactions which are likely to enhance addiction, and hence, aims to stop them. Family therapy is very effective for young adults. Medication: The importance of medication in the treatment of substance abuse cannot be overemphasized. However, it is advised that before medications are taken, they should be done under the supervision of a medical practitioner. 12-step programmes: This is a form of professional treatment which helps people with addiction. The aim is to ensure that individuals achieve and regulate abstinence. They also have to come to terms with the fact that they have a disease, and it should be surrendered to a higher power. Exercise: Exercise helps in enhancing one’s mood and reducing stress levels. It is also quintessential when it comes to addiction treatment. Receiving treatment for the co-occurring disorders of substance abuse and mental disorder is more complicated than simply receiving treatment for one condition. Those who enter into this kind of treatment should be prepared for their healing process to take longer than it does for those who are trying to remedy only one condition. There are treatment facilities and rehabilitation centers that focus on treating co-occurring disorders specifically, rather than only treating the substance abuse problem. The staff consists of licensed specialists who are knowledgeable in how mental disorders and substance abuse interact with one another. Recovery requires a large commitment from the afflicted individual, and cannot be accomplished without a serious amount of work, but it has been proven possible repeatedly. 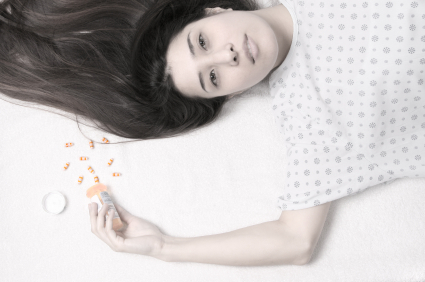 This concept of treating a mental disorder and a substance abuse problem simultaneously is unique. Its aim is to educate the individual on what their disorders encompass, instruct them on how the two conditions work in tandem and inform them on how a person can manage both conditions. The individual will become familiar with the ways that alcohol and drugs affect their mental disorder and how they are personally being impacted by them. This will help the person set a strategy for sober living and engaging in healthy life skills through counselling and treatment, as well as connecting them to ongoing assistance. The journey of recovery for people who are dually diagnosed with mental disorder and substance abuse is a difficult one, but for those willing to give it everything they have, it can be achieved. Medical and psychological health professionals are anxious to assist individuals in facing these problems to help them reclaim their quality of life. If you or a person you care about is in need of therapy for a co-occurring disorder, do not hesitate to enlist the help of a substance abuse and mental disorder specialist. When you or someone you know is exhibiting signs of substance abuse, treatment in the form of rehabilitation and counseling is the necessary next step. There are a number of different types of inpatient rehabilitation programs available to treat substance abuse and it can be difficult to choose just one. The best quality rehabilitation centers will exhibit certain specific qualities. Firstly, the treatment program will be tailored to the type of substance abuse the person is experiencing. This makes certain that the issues and difficulties relative to the type of substance being abused are dealt with. This consideration has major ramifications for the type of treatment that is needed. Secondly, it is important to restore the individual back to their original health through a detoxification process. Detoxification can result in extremely unpleasant, even dangerous, withdrawal symptoms. It is important to have constant medical supervision available to a person going through withdrawal to ensure their safety. Not only will a quality treatment center provide this service to their client, but they will also do everything within their power to make the client as comfortable as possible through the process, including a prescribed diet, detox medications and all the healthy comforts of home. Third, considerations for the rehabilitation program will to be made in relation to any type of mental illness that accompanies the substance abuse. This applies in the case of a co-occurring disorder, or dual diagnosis, which is the existence of a mental disorder as well as a substance abuse problem. This situation requires an expert level of treatment by seasoned professionals in order to deal with the simultaneously occurring disorders. Fourth, the treatment itself will consist of counseling, workbook exercises, readings, physical exercises, group meetings and involvement in therapeutic activities. These components together will make the client understand the source of their problems and how to change them for good. Understanding when you have a substance abuse problem can be very difficult. Not all people who use alcohol or drugs have a substance abuse problem, but those who do will frequently be in denial of it, making light of their extreme behavior even if they are causing themselves legitimate harm. Denial is a common bed fellow to addiction and substance abuse, which creates a great deal of confusion about how much is too much when it comes to addictive substances. The definition of substance abuse is to use a mood-altering substance more heavily than it is intended to be used. This condition can have many appearances. There are a number of signs and indications a person will exhibit when they are struggling with a substance abuse problem. It is not uncommon for a person who is abusing a substance to want to hide their problem due to guilt or shame. Often, a substance abuser will attempt to handle their problem alone and will find the process too difficult and relapse. This begins a harmful cycle of defensiveness and self loathing that leads to worsened substance abuse. An individual abusing a substance will experience a decline in their habits and in their capability to function. They will more than likely see their personal relationships deteriorate. They might begin to suffer in their work or school performance. Or they may do damage to their finances and their legal record. 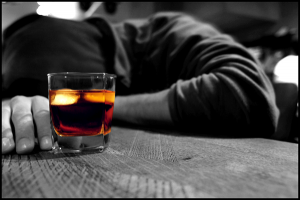 While the person is under the influence of the substance, their behavior may become reckless and out of control. They could black out and forget portions of time, or they may truly regret something they did while intoxicated. If you or someone in your life has a substance abuse problem, you are in need of the professional services of an addiction specialist or treatment facility. Knowing that you or someone you are close to has a substance abuse problem can be a frightening ordeal. Substance abuse is a medically acknowledged disorder that numerous people choose to address with professional services. Not every case requires rehab because occasionally it is taken care of prior to it becoming advanced, but for situations where the problem has become out of control, the expert care of a rehab therapy facility is needed. With substance abuse rehabilitation programs, clients can expect to discover caring personnel that is educated on aiding substance abusers to restore their sobriety and keep it. Rehabilitation employees are not judgmental regarding the troubles a client has, and the programs are developed to help every individual, mentally and medically. The first action taken will be a total cleansing to recover the physical body’s systems to a healthy and balanced working order. This detox can generate intense withdrawal symptoms, which is why the procedure must be medically supervised, and medicated if required. When the cleansing is finished, the lengthy therapy can start. This will include a tailored plan of rehabilitation for the substance abuser to comply with, with the aid of a knowledgeable staff and within the security of a substance-free center. This therapy will include counseling, both in a team setting and an individual setting, workbooks and readings, therapeutic tasks, working out and a nutritious diet regimen, in addition to support between peers. When the treatment is finished and the recuperating user is prepared to rejoin the world, the program will help them with a continued sobriety leave strategy and will make continuous, encouraging resources available to them as they come back on their feet.